Parents of an American university student who died last year after being detained in North Korea are seeking over $1 billion in compensation from the rogue regime, Voice of America said Tuesday, citing a US court document. According to a document obtained by the VOA, the family’s legal representatives requested that North Korea provide about $1.1 billion in punitive damages, along with other economic and noneconomic compensatory damages. The family’s legal team decided on the amount of damages based on US court decisions made in the past, including the one involving Kim Dong-shik, a US permanent resident and pastor who died in a North Korean prison in 2001 after allegedly being tortured. The US District Court in the national capital ordered North Korea to pay $330 million won to Kim’s family members in 2015. “If the $300 million awarded in Kim’s case was not enough to deter, more must be awarded here to send a message to North Korea that its continuing heinous acts will be met with ever increasing penalties,” an unnamed member of the legal team told VOA. 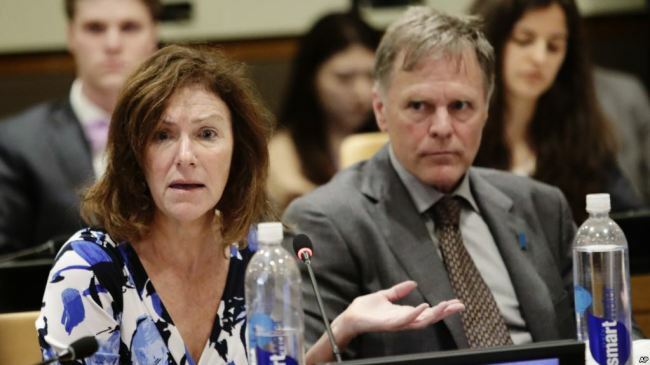 Six witnesses including parents and siblings of Warmbier and two US-based experts on North Korea will attend a court hearing Wednesday. Though several US citizens who sued North Korea in the 2000s won default judgments, after Pyongyang declined to show up to defend the cases, North Korea has never paid due compensation to the plaintiffs.